A blind date for Leizer with the perfect woman turns into a battle of nebbish proportions. 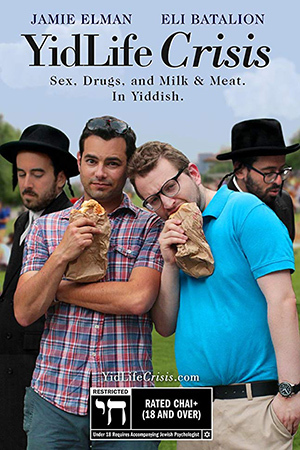 Jamie Elman and Eli Batalion, the comedy duo who created the hilarious web series YidLife Crisis star in an episode about the kind of date you definitely don’t want to have. “Big Bang Theory” actress and attachment parenting guru Mayim Bialik guest stars in the episode as Chaya, a high-powered, no-nonsense neurosurgeon apparently set up by her mother on a blind date with Leizer.